A peaceful intervention within a semi-public space. Markus Hoffmann and I intervened unannounced in a lecture on physics entitled : “Einführung in die elementare Mechanik” (“An introduction into elementary mechanics”). Before the actual lecture started I drew the cardiac action potential onto the chalkboard and sat down into the static posture of a meditating Buddha on top of the lecture desk. Subsequently, Markus Hoffmann wrote the Latin Our Father – Pater Noster onto the board and seated himself on a chair next to me. 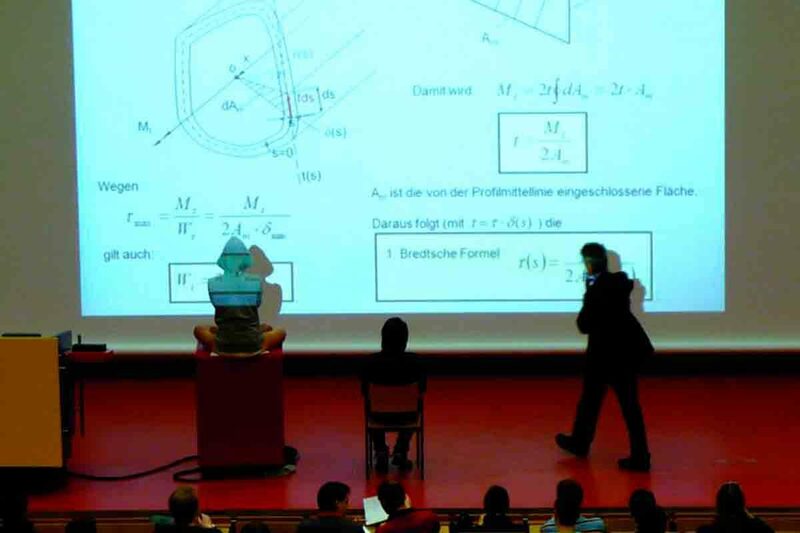 The professor entered and held his lecture.